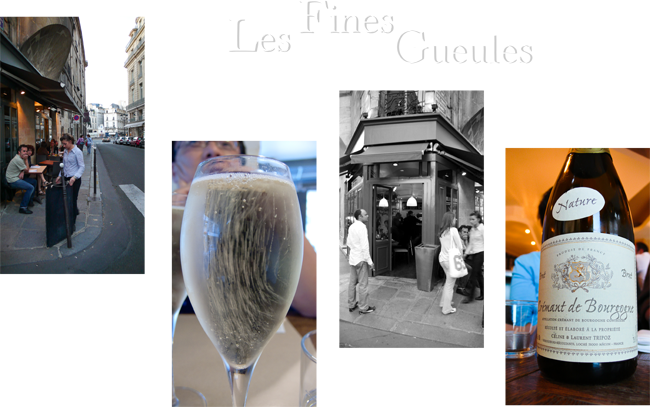 During the last 2 months of my stay in France, Les Fines Gueules became one of my favorite venues to stop by – for a drink and for the good food. The dynamic owner/manager Arnaud Bradol is an enthusiastic fan of bio-wine, or so called “natural wine”. He is also fanatical about top food ingredients. Here, he features the best suppliers including – Hugo Desnoyer for beef and veal, Jean-Yves Bordier for butter, Joël Thiébault for vegetables, Poujauran for bread. Plus, the cave under the restaurant is another thing to make you “wow”. More than thousands of wines are quietly lying there. The restaurant is located in a building that used to belong to la Banque de France. The building is elegant and tells its own history. Nevertheless, when you walk in the restaurant, you don’t feel it is like other traditional wine bars or bistros in Paris – the interior design is a nicely calibrated mixture of contemporary and vintage touches. 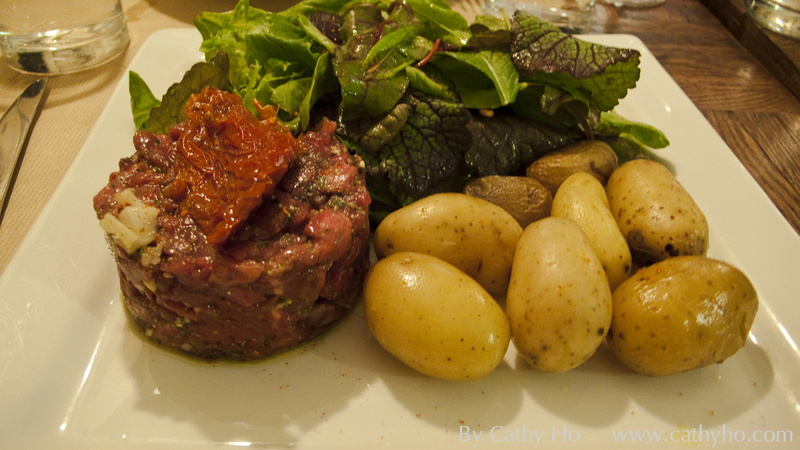 *Its carré d’agneau and fish dishes are also very good and worth a try. So, about the wine, oui…! If you didn’t try any wine here, you would leave feeling VERY sorry to yourself. The first time I visited Les Fines Gueules with friends, Arnaud brought us a red wine which had been put in a decanter. The first nose of the wine to me was eucalyptus, very fresh and quite spicy. It’s so unique and intriguing. The taste was also full of spices; the texture was pretty round. It’s like a breeze gently brushing your cheek during summertime when drinking this wine. It was not easy for me to figure out the region this wine belongs to. I would guess it’s from the south France, maybe la Corse? Or Languedoc-Roussillon? 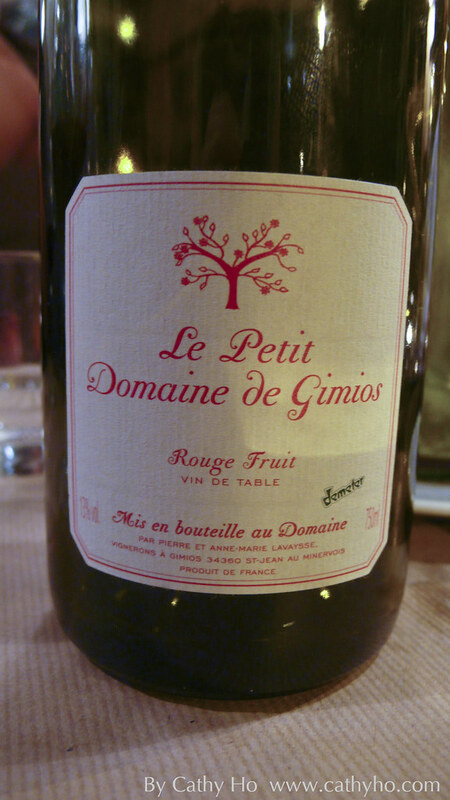 Finally, Arnaud brought the bottle to us, it’s a domaine called Le Petit Domaine de Gimios which produces only nature wine, no sulphur or SO2 added at all. Plus, the vines here are all very old vines. It is run by a 60+ year old woman named Anne Marie Lavaysse, who insists on using the most natural and organic methods for taking care of her vineyard. She maintains very low yield, which is only 10~14 hectolitres per hectare (hl/ha). The grape variety of this wine Rouge Fruit contains Cinsault, Alicante, Grenache, Carignan, Aramon, and Muscat. Besides this wine, I was also lucky enough to be comp’d with a glass of 1975 Château Pichon Comtesse de Lalande. It was just splendid…! At Les Fines Gueules, the wines are always full of surprises (good ones, of course) and the food is promising. Very relaxing and cheerful ambiance. Free live Jazz concerts are performed here from time to time on Sundays. 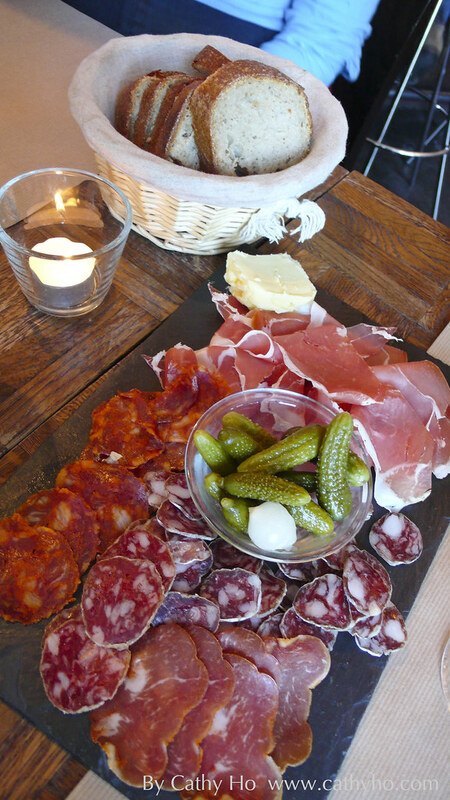 Les Fines Gueules satisfies those with good palates and good tastes. A truly cool place for those Hao Kou Fu people. Hours – Open 7 days for lunch and dinner. Bar hour till late night.